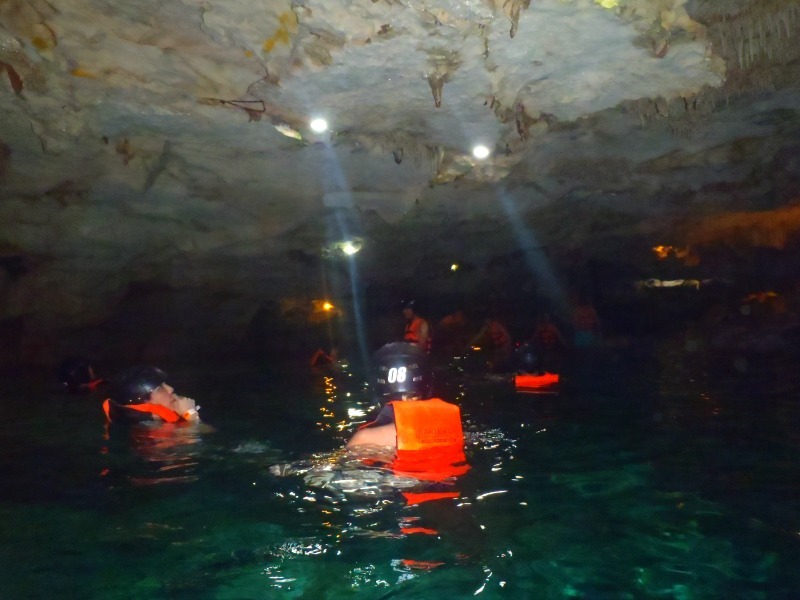 Do you know how to explore a cenote? Cenote – a sinkhole in limestone exposing pockets of groundwater featuring stalactites and stalagmites. In Mexico’s Yucatan peninsula, there are many cenotes – some still appearing and disappearing due to the ever-changing limestone erosion. At the Kantun-Chi Ecopark, its a simple ladder that leads down to the first cave – a wide open space with a large pool. As my guide explained it has been a well-known spot for a long time, and had been initially studied by scientists before letting the public come see the beauty of the caves. 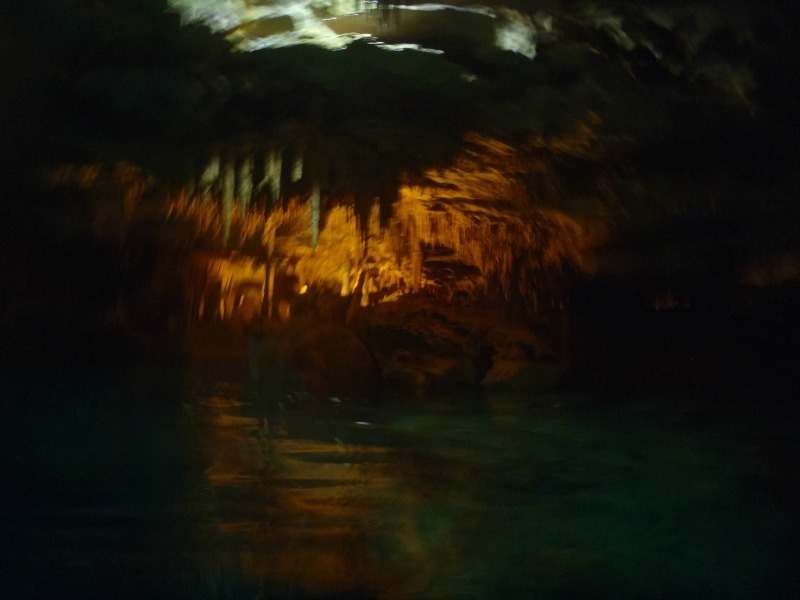 I loved seeing the formations so close, and my guide cautioned us repeatedly to go slowly and to avoid touching the formations, since the oils of our skin destroy the delicate mineral combination of the limestone stalagmites and stalactites. And although my camera had a hard time with the low lighting and water reflections, I took photos because I could and focused on how beautiful it was to see the planet’s sculptures, slowly changing, an ongoing art show of the underground.